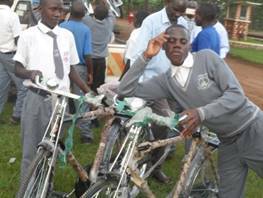 At this time of the year CBIRD has again received funding to purchase 49 bikes. 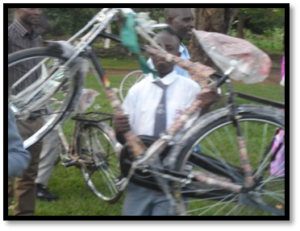 These bikes were handed out to School Teachers and school children (primary and secondary school children). 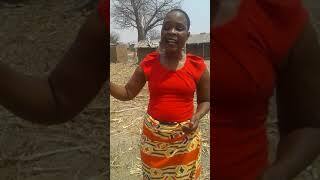 These people (the beneficiaries) are found in rural isolated areas with no easy means of affording public transport. Their schools are located in distances of 12-14km. 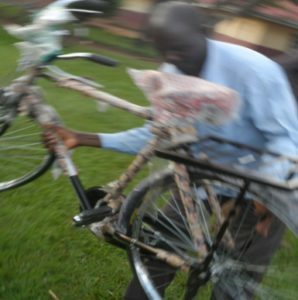 The gift of bike will make all the difference to them and help them to break out of the vicious cycle of CHRONIC POVERTY. 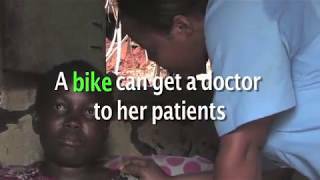 Whereas there are many other people in need of this bicycle support, we are happy that we on the road to helping them because Wheels4life has always been responsive to our call for help. 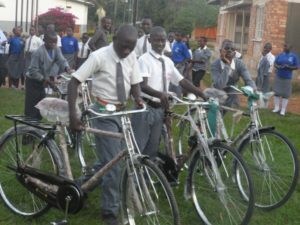 before the year ends, we hope to receive another batch of bicycles to help more school teachers and councillors who help people infected and affected with HIV/AIDs in rural areas. 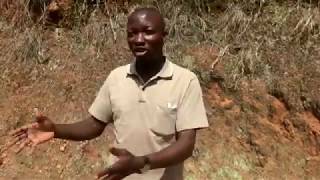 This is Teacher Ssenninde William. He is a secondary school teacher. 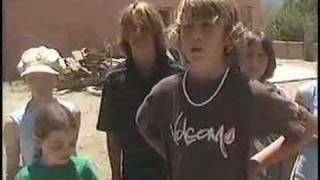 His school is located 13km away from his home. 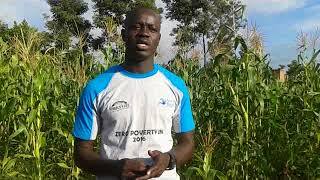 Every day, this teacher travels 26km! 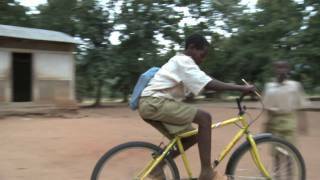 This is his story: “I have been waking up at 4am and prepare myself for the journey to school. In the evening after classes, i was always thinking about this long journey back home. Everyday i come to school with a lot of fatigue! But this bike has made my work easy and enjoyable. I will use it not only for transport to school but also as a means to carry some of our family agricultural goods to the market. Our income in my house is going to improve. I thank you so much for think about me”. At this school, it was joy among all the beneficiary students. it is one of the rural isolated schools. these beneficiary students travel distances of 7-11km to and from school everyday. 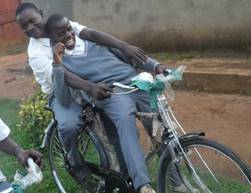 they were very happy to receive a bicycle. These were other students beneficiaries. 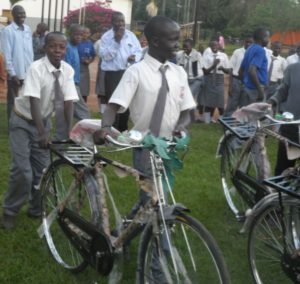 They were very grateful to receive a bicycle. The evening when the bikes were given to them will always be fresh in their minds. 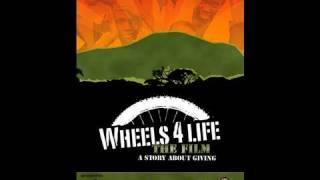 CBIRD is very grateful to Wheels4life and all Partners that contribute towards helping the needy people in Uganda. Our beneficiaries can now travel ten times farther, and many times quicker than on foot. 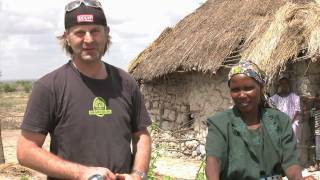 We therefore request for more bicycle support to help our people in rural isolated areas. 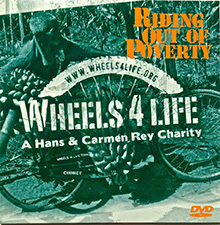 We thank you wheels4lfe and all individual partners who have the needy people at! Thank you very much.